“I tried to bury these songs in my desk drawer, and walk away from them, but it felt like there were spirits saying ‘get us out, we are not dead.’” reveals pop songstress Jaguar Grace (aka Janice Grace). From Jaguar's 2018 release “Boyography, Pt.1”, her song “After All” gets the Royal Remix Treatment by UK's brilliant Dan Thomas with Classic Club and Progressive House Club, Dub and Radio mixes. There's also a CHILL half time vocal Progressive House mix. Working with film composer Max Surla, the tracks have touches from Jaguar’s classical background such as baroque melodic motif development, dramatic dynamics, and cleverly winding arrangements. “After All” traverses stately piano passages, symphonic synth motifs, and imaginative key changes coupled with emotionally open lyrics and vocals. The storyteller song “Slipaway” recounts a bittersweet and dramatic tale of unrequited love. Other singles in the series are the majestic “Artificial Heart,” a cautionary tale about heeding intuition when entering a new courtship, and the dramatic pop-rocker, “She Fell,” featuring ace Bowie band alumni Sterling Campbell, Gerry Leonard, and Jaguar mainstay, Mac Gollehon, infusing his jazz chops into this modern-day rock epic. 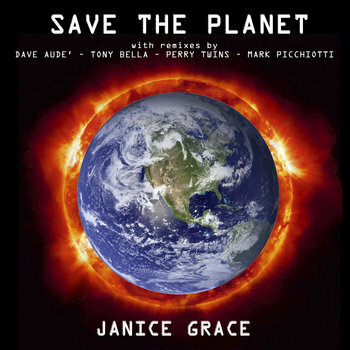 Save The Planet EP- Pop artist Janice Grace invokes a plea to Save The Planet. With the undoing of the EPA and climate change on the rise, this EP is a global musical offering bringing awareness to the issues at stake. "Save The Planet" original version produced by J K Selgeseth. Remixes by Dave Aude' (Progressive House), Tony Bella (Trance), PerryTwins (Tribal House) and Mark Picchiotti & John Keenan (Deep Tech House). 2016 Telly Awards Winner Max Surla collaborates on "Lullaby to Birdland", an Ambient walk through the forest, and on "I Am Your Ego" which speaks to our dark side that keeps Love away. "Astrotrip" is an Electro Instrumental vision quest. Back in the 80's I used to work at the Hard Rock Cafe on 57 St in NYC. There was a God wall with all of the icons from many of the world's religions. along with a huge round tablet with the number 714 engraved on it. At the center of the God wall was a picture of Sai Baba, with the words: SAVE THE PLANET - LOVE ALL SERVE ALL. I walked by the God wall & Sai Baba at least 100 times a day; waitressing, meeting new people, delivering food and playing ambassador for NYC to hundreds of people daily. This was a magical time in my life. Reflecting back, I believe this song was inspired by the words : SAVE THE PLANET - LOVE ALL SERVE ALL. 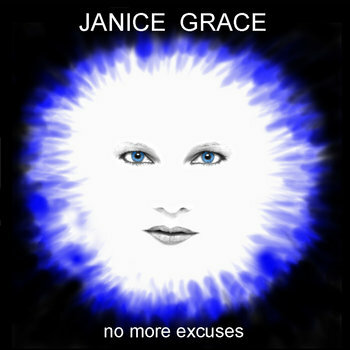 Supercharge your soul with Janice Grace's Spiritual Dance Anthem. Lyrics inspired by Marianne Williamson's "Letting Go and Becoming". Marianne is the author of the NY Times bestselling book "A Return to Love". Rod Carrillo shakes up a fabulous Funky-Electro 'House-A-Holics' Remix and Rachel Ellecktra drums up a transporting Tribal-House Remix! Original Pop version Produced and Mixed by Paul Antonell and Janice Grace @ Clubhouse Inc.
©2011 Jaguar Records, Inc. Grace Notes Royale BMI. In 2007 I was introduced to DJ-Producer Anton Bass . 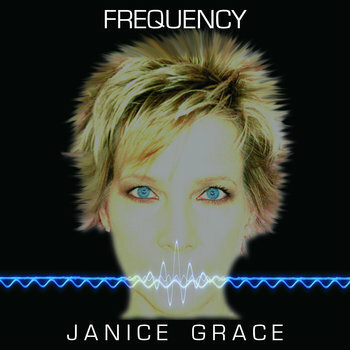 Inspired by “The Law Of Attraction”, we conjured up “Frequency”. The Law of Attraction (universal energy around you that obeys the science of physics) responds to the vibration you are offering. When you feel bad, you’re on the frequency of drawing more bad things. When you feel good, you’re powerfully attracting more good things to you. 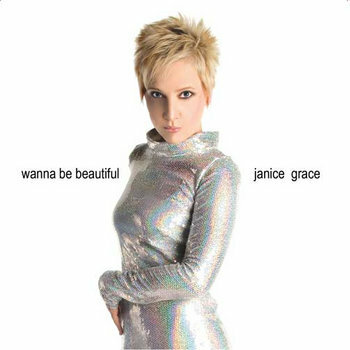 Vacillating between wanting to get her face tweaked and realizing she’s perfect just the way she is, Janice’s song is her triumph over Hollywood’s grip on dictating beauty standards in our society, but realizing she still wants to be beautiful. What’s a girl to do? Write about it. The Awesome Dave Aude’ was chosen as the Godfather to give ‘wanna be beautiful’ his Progressive House Midas touch. Twisted Dee whipped up a whirling dervish Tribal mix. DJ Escape gives us retro house. Earl Slick (The Eons, David Bowie’s touring guitar player of 20 years) creates a true hybrid with his biting rock guitar over Pezza’s electro stems. After reading books on Geisha I knew I wanted to create a song based on their stories. They are not hookers; they are artisans. They have honed their skills of dance, music, flattery and conversation to perfection. This is what I want to portray in this song: artisans honing their skills. While driving I heard a remix on Sirius by Tracy Young. I was so blown away I had to pull over and just LISTEN. This was the person who had to do my remix. Tracy was gracious and smiled down upon me. 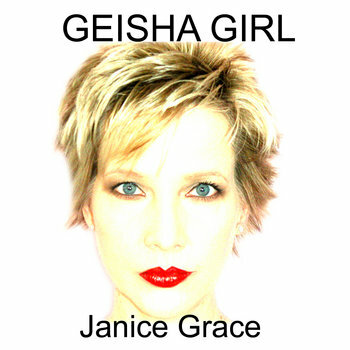 She created a masterpiece of Progressive Tribal House ecstasy with “Geisha Girl”. French DJ/producer Richard Grey, famed for his massive, big room house remixes and silky skills on the decks @ Pacha Ibiza, transcribed a hypnotic dub House-Trance mix.